Come to Touchstone for a free, family-friendly Open House event. Our gallery will be open with an exhibition of work by our Artist Of The Year: Tadao Arimoto, and Travis Winters; Touchstone's Programming Manager. 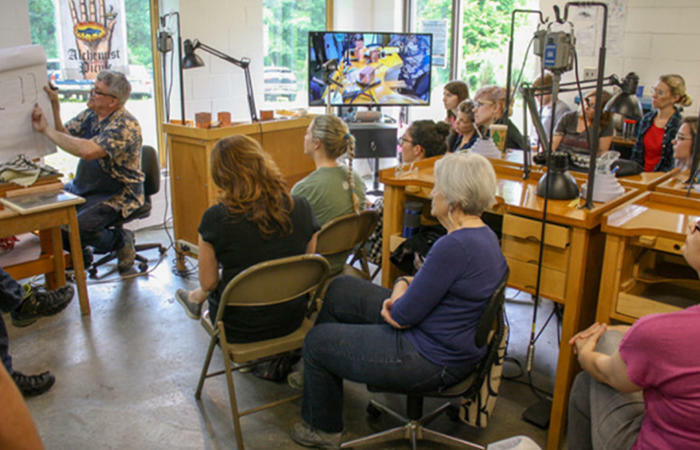 Visitors can start there and go on to tour our professional studios and watch people working in our studios in blacksmithing, ceramics, glass, and jewelry. There will even be a kids' activity that is free for all who wish to participate.